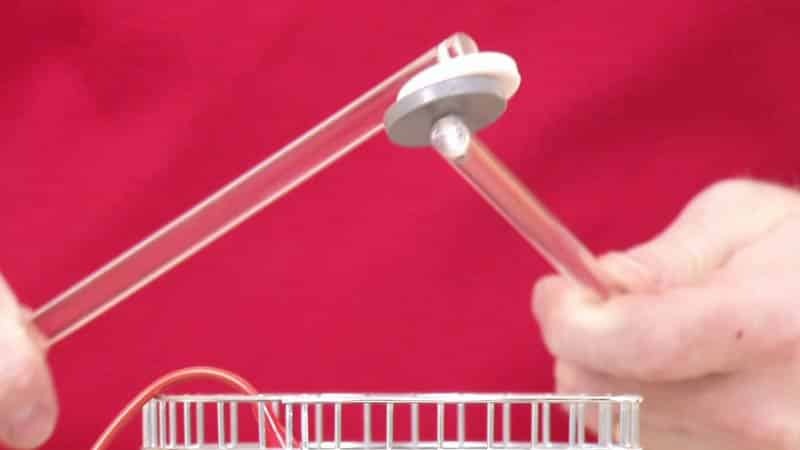 Unlike a traditional electroscope, the Charge Sensor can make quantitative measurements. Numerical measurements improve many electrostatics experiments, such as charging by induction, charging by friction, and charging by contact. The sensor can also be used to measure charge polarity. An extremely high-impedance voltage sensor with a 0.01μF input capacitor makes these measurements possible. The sensor has three operating ranges and a zeroing switch to discharge the input capacitor. Set the can on an insulated surface. Connect the charge sensor red lead to the can. Now charge the can by induction: Bring a charged object near the can; note the reading on the charge sensor. The sign of the reading is the same as the sign of the charge on the object. Charge the can by contact. Do this by dropping a charged object into the can. All of the charge on the object will be transferred to or induced in the can. Determine how much your charge can influence the experiment. Without a grounding strap, scuff your feet on carpet or pull off a sweater. Hold your hand near the tin cup detector. Do you induce a charge? What sign? Does a ground strap remove or reduce this effect? Charge various objects and determine the sign of the charge. Measure how quickly objects lose charge. Plot the charge as a function of time; this will take some minutes on a dry day. Measure the charge on adhesive tape. Are the top and bottom sheets the same total charge? Why? For best quantitative measurements, drop the tape into the detector can. Charge the can by contact on the inside; add more charge. How much charge can you add from the inside of the can? Can you add as much from the outside? Why? 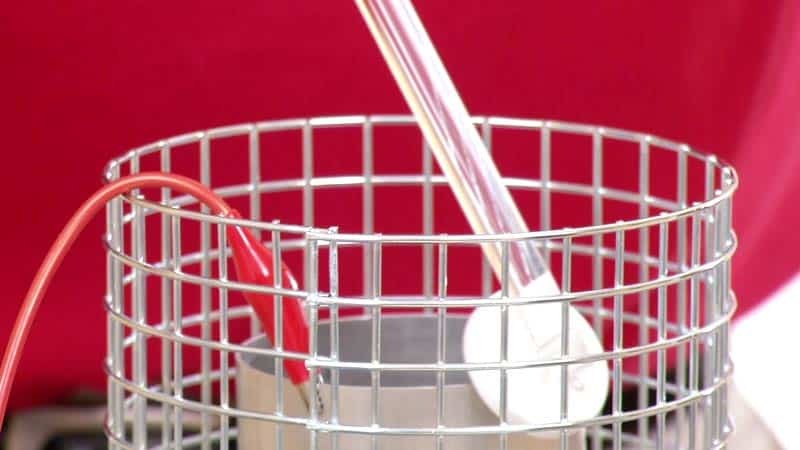 Use a second can (not connected to the red lead as a detector) and charge it by induction. 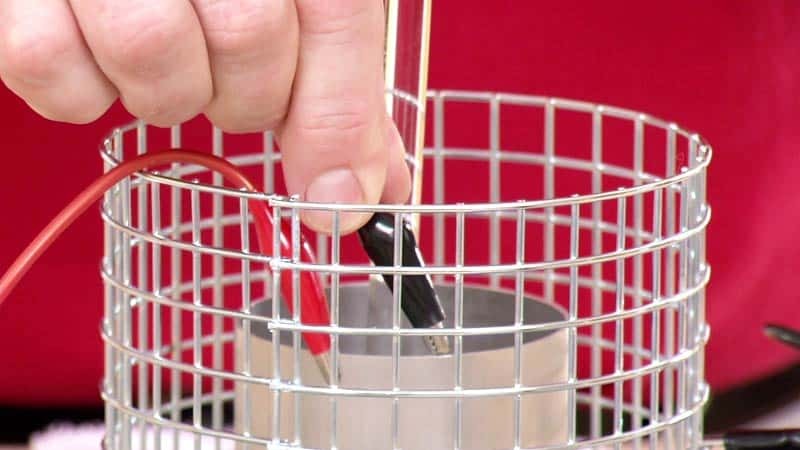 Do this by charging an insulating object, holding it inside the can (inducing a charge on the outside of the can), and then briefly grounding the can. Remove the charged insulator, and you’ve got a charged can. Measure the charge by testing it by induction, or by touching it to the inside of the detector can. These tips are based on suggestions from Robert Morse, Ph.D. The Charge Sensor may require a compatible interface and software. Choose a platform below to see compatible interface and software options. The Charge Sensor is fully supported with LabQuest 2 (version 2.8.5), a standalone data logger with built-in graphing and analysis software.